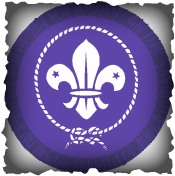 We are a long running scout group based in Rugeley, operating in the area for over 30 years. We aim to provide exciting opportunities for children and young adults aged 6-14 through our popular Scout, Cub and Beaver sections. After moving from our former Hillsprings location, we are now based at the multi-functional Sheepfair Community Centre in Rugeley. We have excellent facilities for a wide range of activities and pursuits. Our group is open to all, with a general catchment of Rugeley and the surrounding area. To get involved please contact us via the website, email or telephone. We are always looking for new members and adult volunteers.